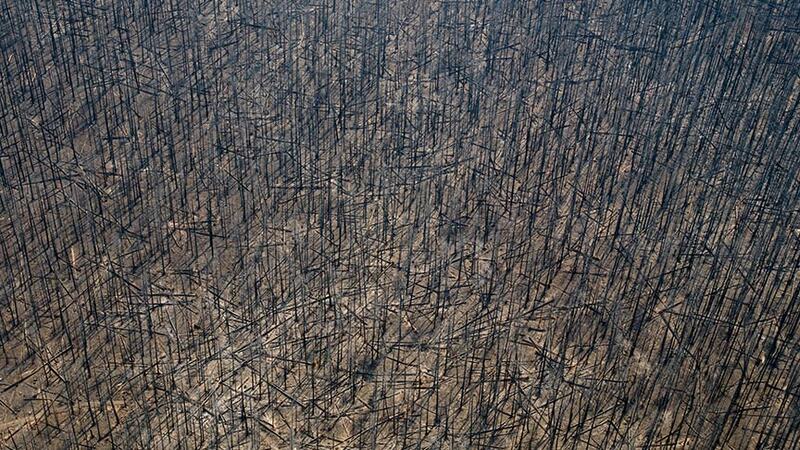 The effects of wildfires, which are becoming more far-reaching due to global warming, are drastic. 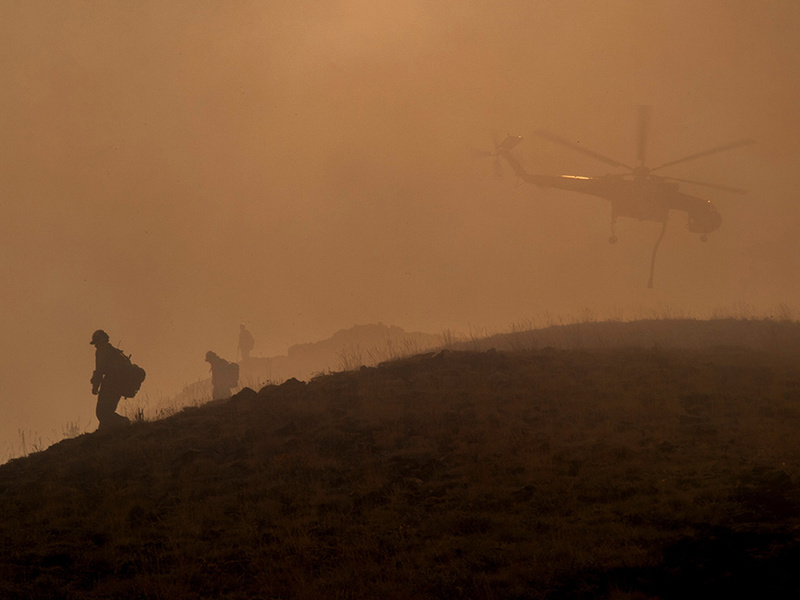 Smoke from wildfires has national impact. 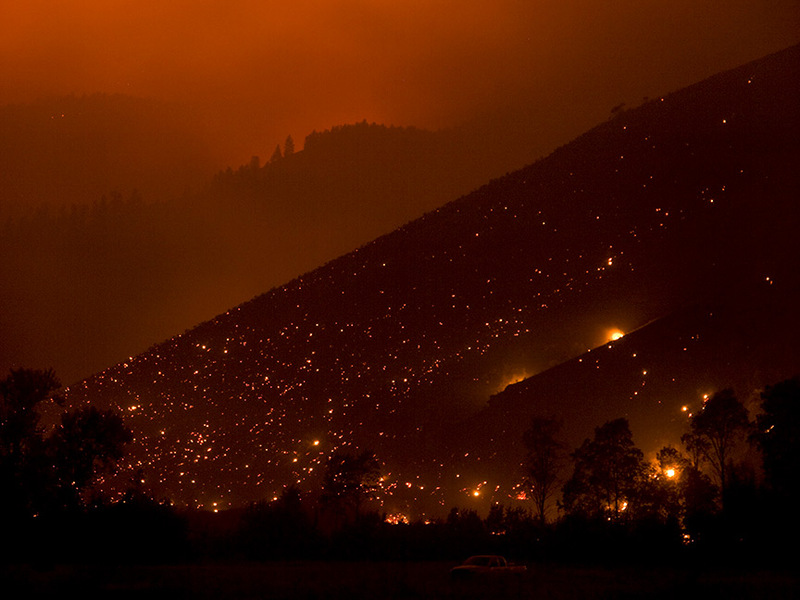 And the fire season now extends nearly year-round. 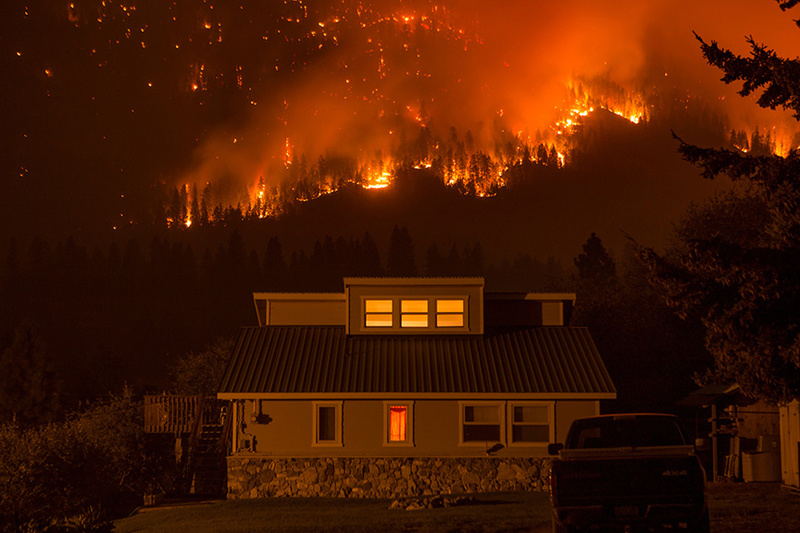 In 2015, 10.1 million acres burned in the U.S. 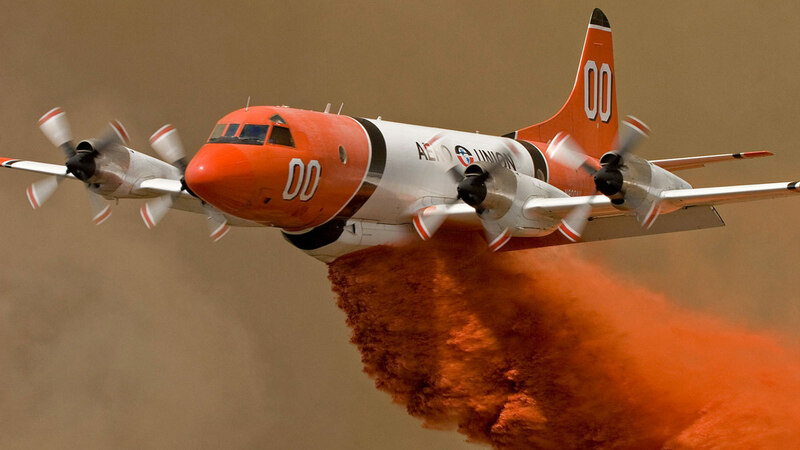 Locally, increased wildfire activity means summer skies change from azure blue to hazy brown. 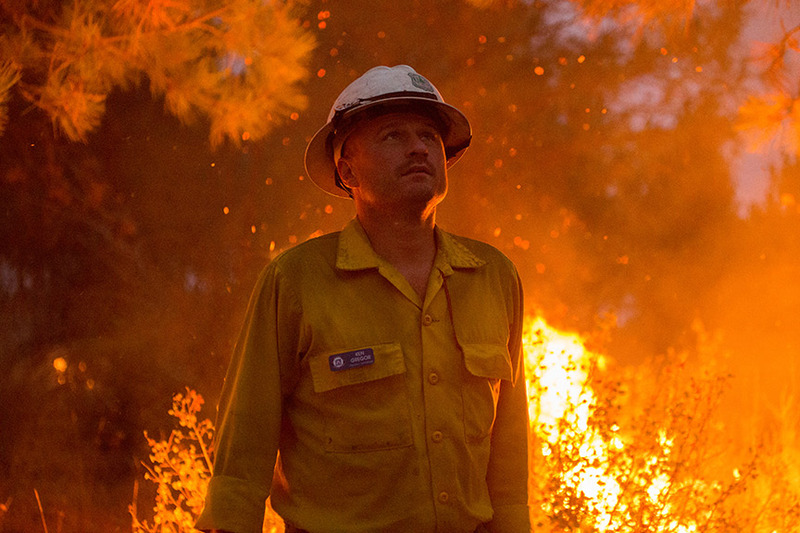 The increasing length and severity of the fire season makes this project timely and important. 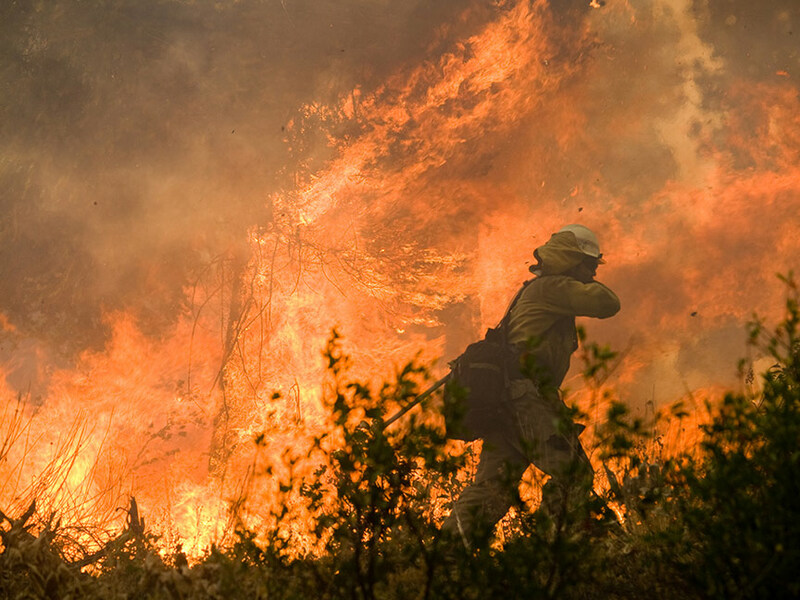 Scientists comprehend what it means to live in a fire environment, including when to suppress, contain or let fires burn. The goal of this project is to help propel an even broader understanding and public conversation of this volatile dynamic. This exhibit has been curated to immediately grab the audience’s attention and sustain it through the power of images and storytelling. 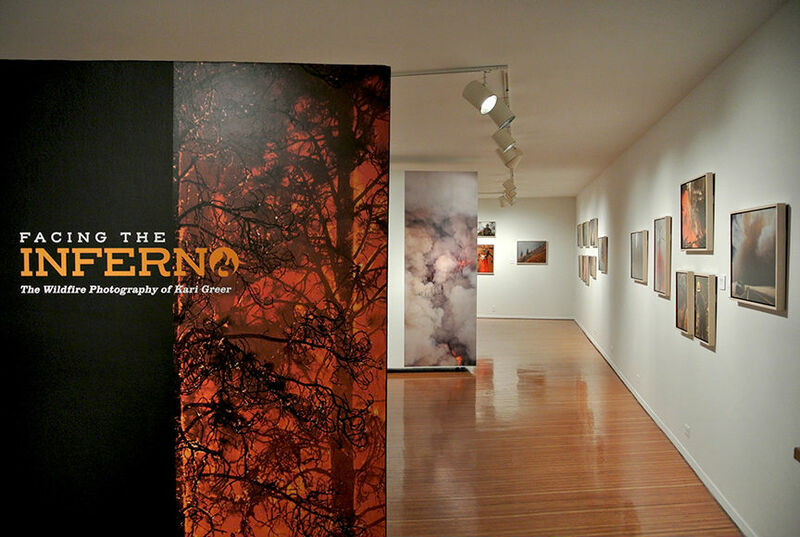 Facing the Inferno is the ideal bridge for conversations between the sciences, arts and humanities. 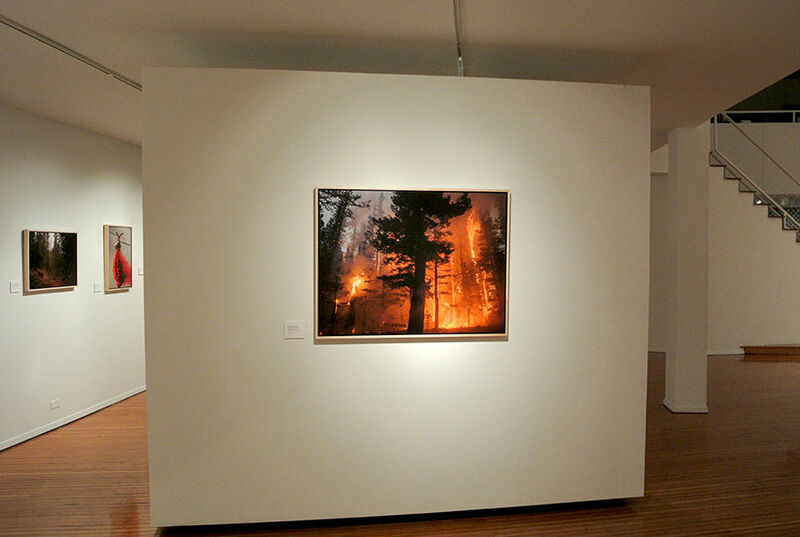 The Prichard presented the first thorough exhibition of Kari Greer’s photographs in early 2018. While Greer’s images typically serve as supplements to words and reports, this project provides space for the full appreciation of her images. 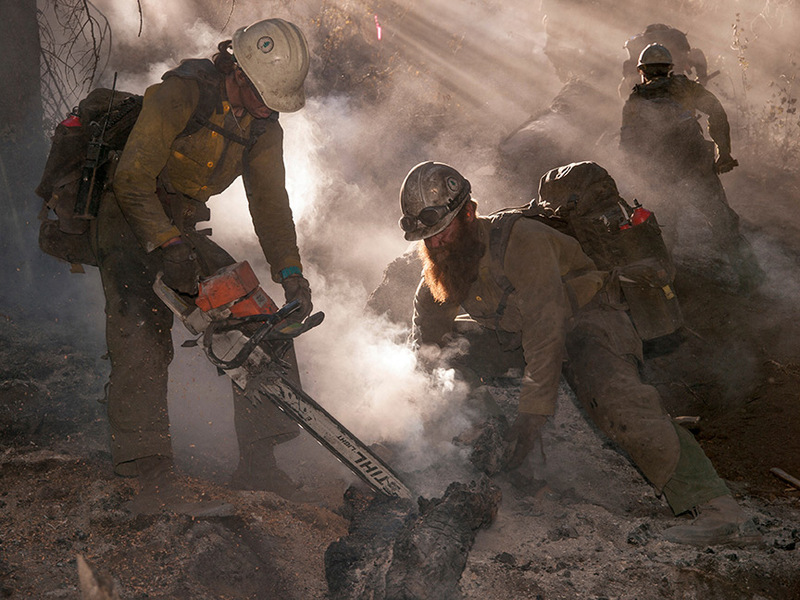 Kari Greer is a photographer for the National Interagency Fire Center based in Boise, Idaho. 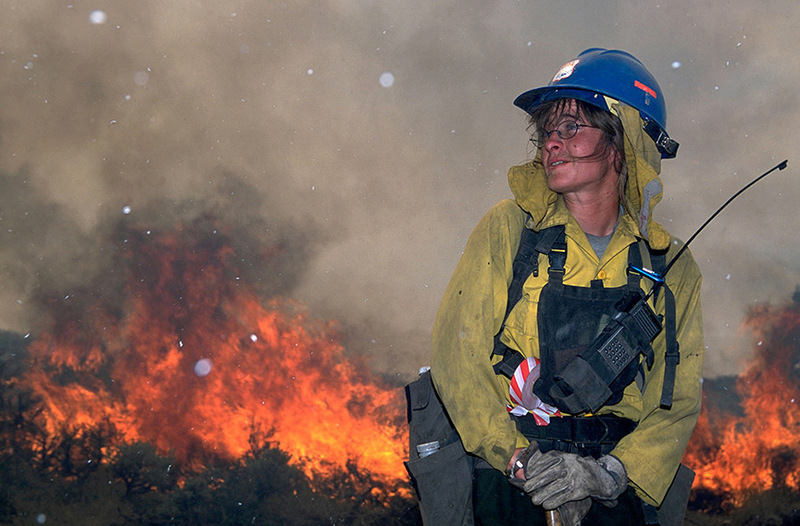 Kari specializes in wildland fire photography and editorial photojournalism. 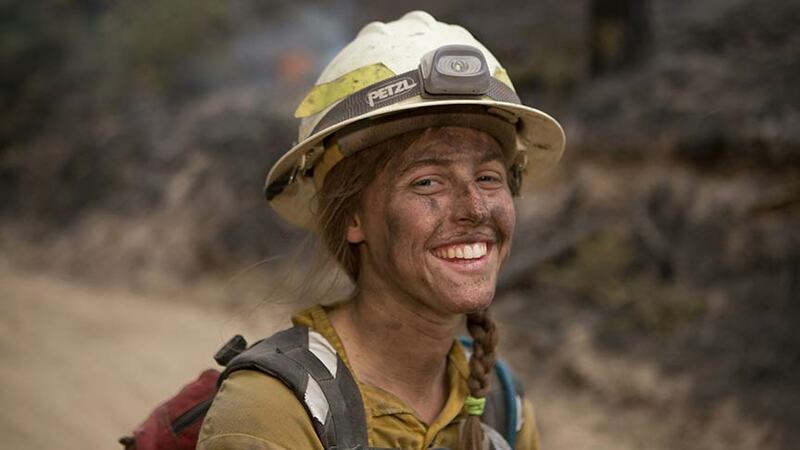 Her interest in wildland fire photography began in college, when she worked on a Forest Service fire crew in Washington’s Gifford-Pinchot National Forest. 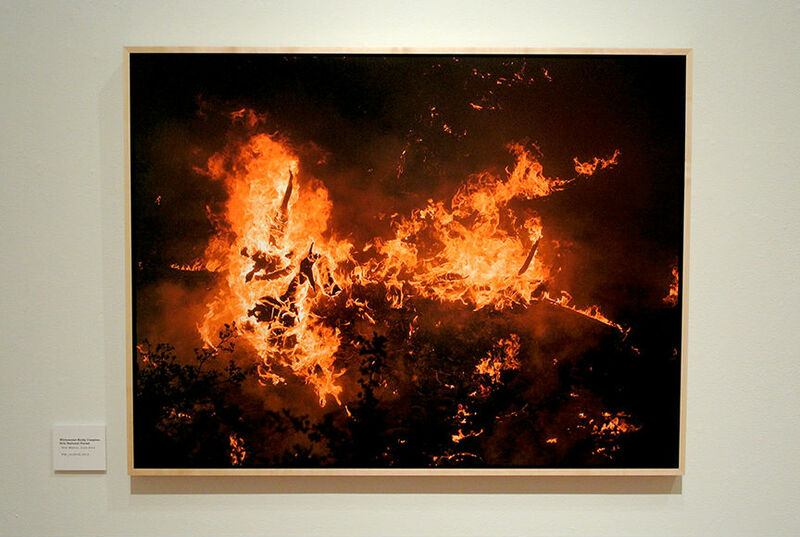 Her work has appeared in Outside Magazine, National Geographic Adventure, Wildland Firefighter and The New York Times. 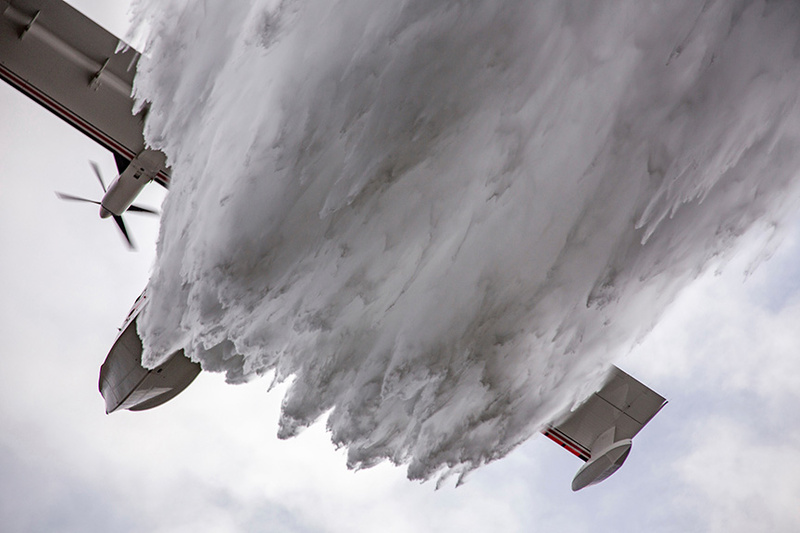 Kari studied photography at California State University, Sacramento and has collaborated with Icelandic photographer Erla Stefánsdóttir and National Geographic photographer Brooks Walker. www.kariphotos.com. 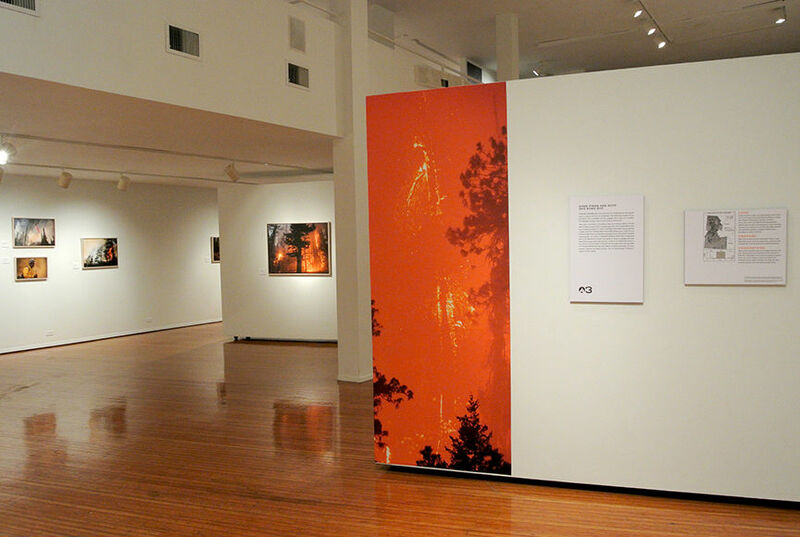 Exhibit text panels are excerpted from Stephen Pyne’s catalog essay. Stephen Pyne is an author of 30 books, 21 of them dealing with fire, and a regents professor at Arizona State University. He’s twice held NEH fellowships, twice been a fellow to the National Humanities Center, has received a MacArthur Fellowship, and was awarded the Los Angeles Times’ Robert Kirsch award for body-of-work contribution to American letters. Project consultant Penny Morgan is a professor in the Department of Forest, Rangeland and Fire Sciences at the University of Idaho. 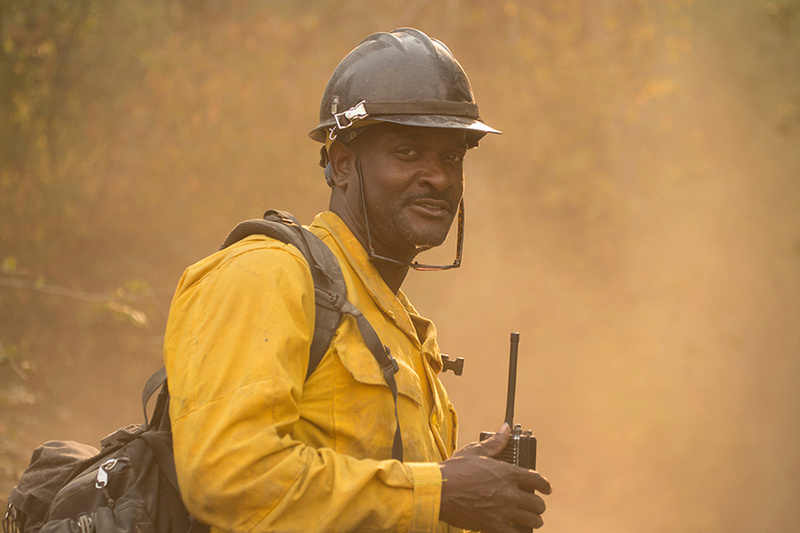 Recently recognized with a Lifetime Achievement Award by the national Association for Fire Ecology, she seeks to understand how vegetation responds so quickly to fires. Project consultant C. Rod Bacon first served as a fire lookout in 1969. Since then, he has spent 20-plus seasons as a lookout in the Northwest. He has a long interest in photography and has taken workshops with master photographers Al Weber, Gordon Hutchings, Bruce Barnbaum, John Sexton, and Anne Larson. 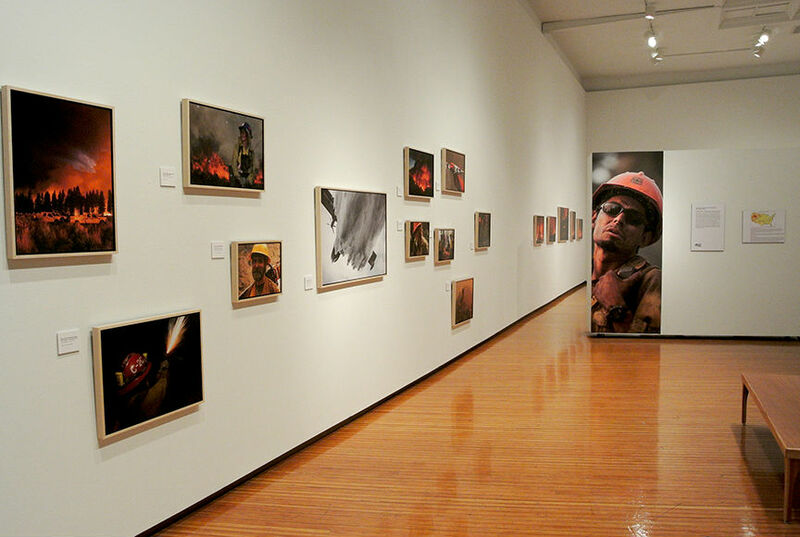 The National Endowment for the Arts, through an Arts Work grant. 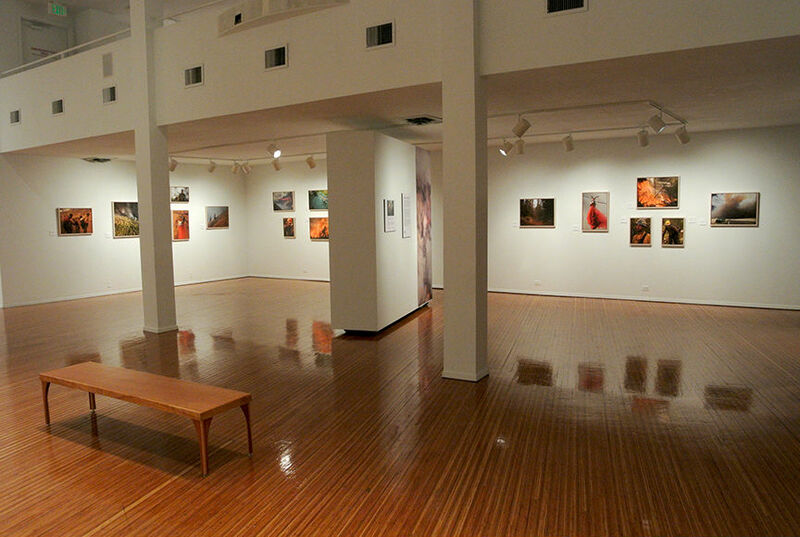 The Idaho Commission on the Arts, through a QuickFunds grant.